A FORMER police station could be converted into apartments. Plans have been submitted to turn Southsea police station, in Highland Road, into 18 flats. The 1932 building will not be demolished under the plans, submitted by London-based applicant Martin Finerty of WBM14 Ltd. Under the plans the current parking spaces will be cut from 20 to 16. Eastney and Craneswater ward councillor Luke Stubbs said: ‘Southsea police station is a prominent building in Highland Road and it’s certainly a good thing to see it retained as a building. ‘And if housing is the only way to get it brought back into use then so be it. ‘It will be interesting to see what plans emerge for the car park. Southsea station is a locally-listed building under Portsmouth City Council’s list of buildings of special architectural and historic interest. Developers hope to ‘restore’ the building by stripping out partitions used when it was a police station. No changes are proposed to the outside of the building apart from changing the metal-clad walls at the back of the former station. Under the plans there will be a mix of one-bedroom, two-bedroom and studio flats in the building. 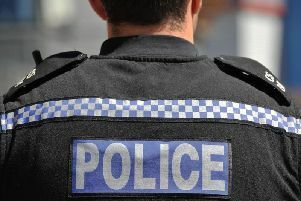 As reported, Hampshire police made £48m selling off police stations according to figures reported by a police watchdog last year. The sell-off was led by the Office for the Police and Crime Commissioner, started under former commissioner Simon Hayes and continued under Michael Lane. Portsmouth Central station, used for its cells and office space, and Fratton station, used by investigators, are set to shut when a new police investigation centre opens off Airport Service Road. As revealed by The News, the new centre is set to cost £31m, up from £18m budgeted in 2014.